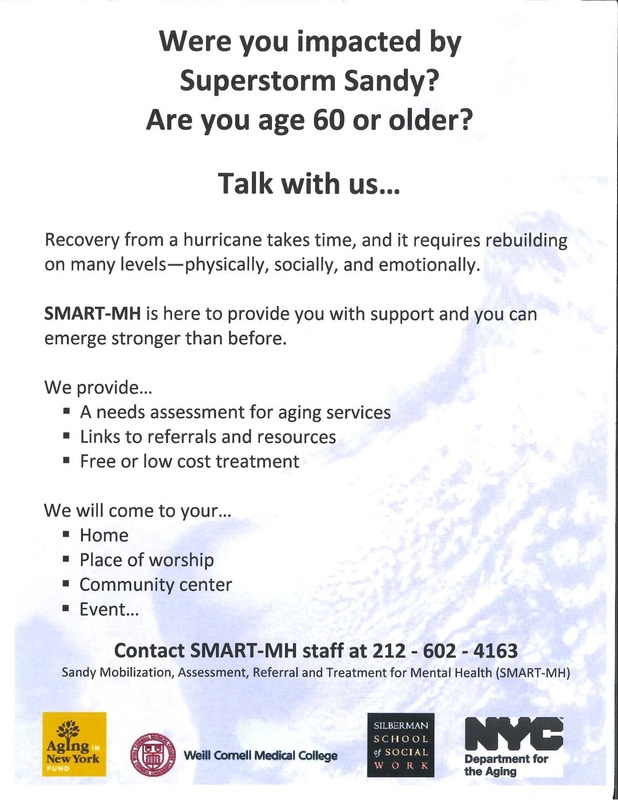 Do you know someone, 60+, who is still suffering from Sandy? 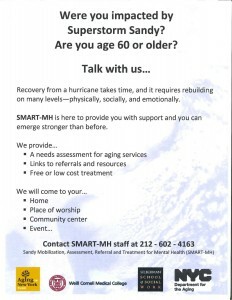 Call (212) 602-4163. They will come and provide free or low cost treatment and referrals.